A green and yellow hanky is shown. With one motion of the arm it turns into blue and red. 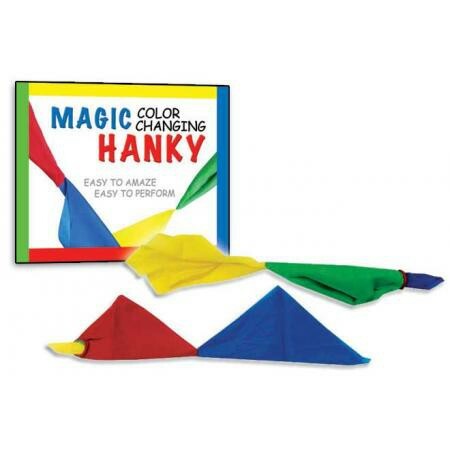 The classic color changing hanky is made in the highest quality by Magic Makers.